Pittsburgh Post-Gazette - Who Killed Westinghouse? It's true that Michael Jordan, the outsider brought in four years ago to right the foundering Westinghouse Electric Corp., sunk it instead. But the answer to the question, "Who killed Westinghouse?" goes back a lot further than that. It was Jordan, indeed, who changed Westinghouse's name to CBS, its headquarters to New York City, and its business to broadcasting. But others had a hand as well. Even though the financial results didn't always show it, the company that gave us electricity, commercial radio broadcasts, radar, the nuclear era, frost-free refrigerators and the "Mike Douglas Show" had been struggling to find its footing since the 1970s. The problems accelerated in the '80s when the company began to put more and more emphasis on increasing shareholder value and not on shoring up its core business. The strategy worked -- for a while. The it collapsed in a $6 billion real estate disaster. It was that blind devotion to Wall Street, dozens of former Westinghouse executives and other observers now believe, that finally killed it. By the time Jordan arrived, not much could be done. In this special series, the Pittsburgh Post-Gazette will tell just how a 111-year-old institution disappeared from Pittsburgh's landscape. Steve Massey, 39, writes about airlines and economics and, for the last year of its existence, covered Westinghouse Electric Corp. He also writes the Sunday Biz Bytes column, a satirical look at the week's business news. 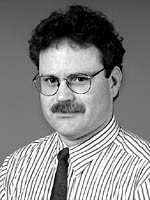 He joined the Post-Gazette in 1990, after working at the San Francisco Chronicle, Louisville Courier-Journal and the St. Paul Pioneer Press. Massey is an economics graduate of the University of Kentucky.